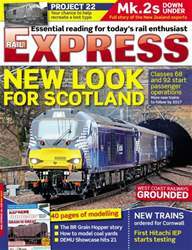 Get your FREE Sample issue of Rail Express today! (1 Customer Reviews) | Write Review 12 issues per year RAIL EXPRESS is Britain's favourite modern rail enthusiast title. Undoubtedly the best for modern traction photography, the magazine keeps readers informed and entertained with undiluted coverage of Britain's railways in the diesel and electric era. First produced in 1996, RE has set a new standard for the hobby, with a clean design, high quality paper and the best reproduction. 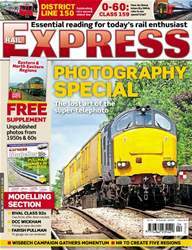 Looking for Rail Express in print? Unfortunately pocketmags.com does not sell print copies of Rail Express, but all is not lost. Our partner at magazine.co.uk sells print subscriptions at the best prices online. New Look for Scotland. Classes 68 and 92 start passenger operations. More new trains to follow by 2017. Project 22 - Your chance to help recreate a lost type. Mk. 2s Down Under - Full story of the New Zealand exports. The BR Grain Hopper story; How to model coal yards; DEMU Showcase hits 21. New trains ordered for Cornwall - First Hitachi IEP starts testing. 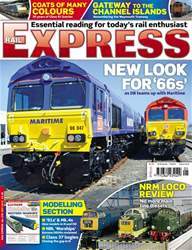 RAIL EXPRESS is Britain's favourite modern rail enthusiast title. 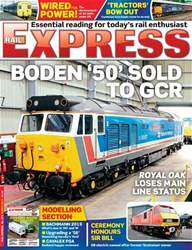 Undoubtedly the best for modern traction photography, the magazine keeps readers informed and entertained with undiluted coverage of Britain's railways in the diesel and electric era. First produced in 1996, RE has set a new standard for the hobby, with a clean design, high quality paper and the best reproduction. You'll receive 12 issues during a 1 year Rail Express magazine subscription. This is a great read if you are into modern diesel and electric traction. Always a great range of photos and articles. 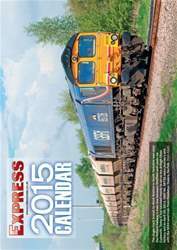 You'll receive 12 issues during a 1 year Rail Express magazine print subscription.